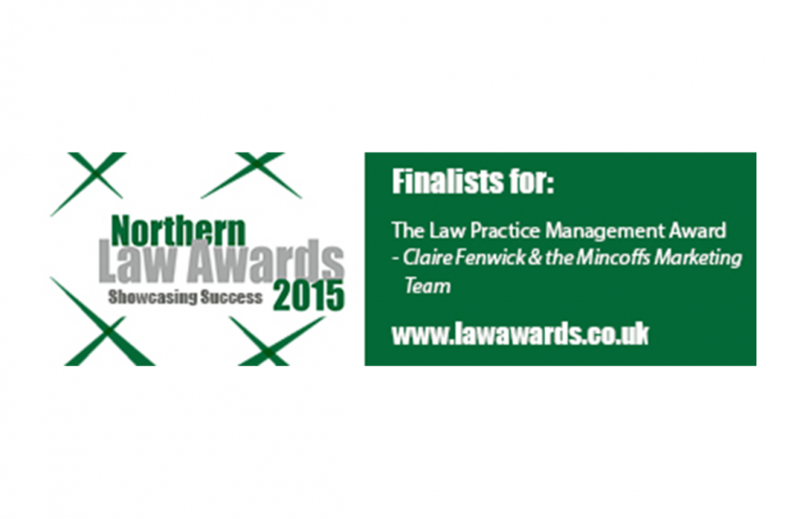 Mincoffs Solicitors are delighted to have been shortlisted for an award in the forthcoming Northern Law Awards ‘Practice Management’ Category. This award covers marketing, HR, finance, compliance, clerking and IT. The award celebrates the wealth of talent and success within the region. Mincoffs Solicitors attended a judging day on 28th April where the marketing team headed by Claire Fenwick delivered a 20 minute presentation followed by 10 minutes of Q&As to a four strong judging panel. The winner will be announced at an award ceremony held at the Biscuit Factory in Newcastle upon Tyne on 11th June 2015. Good luck to everyone who has been shortlisted!